Join us for 8 months to get trained and activated in your passions, skills and the cultures of Jesus. It’s our lifestyle to plan evangelism outreaches, ministry nights, and wild training experiences. In the spring we are all hands on deck for Carry The Love – our national outreach to hundreds of schools around the nation. You will be trained and sent out to Carry The Love on colleges, universities, and high schools. Sing up below for 2019 CR Experience! Join us for the CR Experience in Huntington Beach, to be trained in the cultures of Jesus, and be sent out to Carry The Love to university students all across the nation. We believe that as we catalyze the college campuses of America it will lead to the beginning of another wave of student volunteer missions. Change is something in the heart of every person in this generation. CR Experience is a training season in Huntington Beach to raise up teams for our 2020 national tour. We believe that we have an opportunity to see a tipping point in our time. Join us in Huntington Beach to live the lifestyle of a Circuit Rider, go deep in the Bible, contribute to this expanding movement, and reach the campuses of America. The CR Experience is also a certified DTS (Discipleship Training School) which will open the door for you to continue to work with YWAM anywhere in the world. During the CR Experience you will be immersed in the lifestyle of the circuit rider. You will be trained, coached, given assignments, and will work alongside our CR team on real projects. During CR Experience you will join us on outreach to local campuses as well as traveling with the Carry The Love campaign’s national tour. Together we will activate students and pioneer events that will reach the lost. 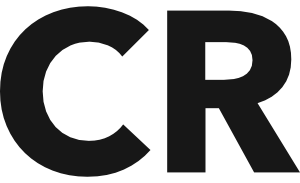 During the CR Experience you will join skills-based teams to contribute to the movement. The teams are: Messengers, Media, and Music. During the CR Experience you will be taken on a thrilling journey through the scriptures. With an intentional mix of teaching, small groups and personal assignments, you will know the Bible more than you ever have before. As a member of our Media team, you will collaborate to create photo, video and social media projects. As a member of our Music team, you will focus on practicing and preparing for the Carry The Love national tour. As a member of our Messengers team, you will be empowered to preach and facilitate gospel-focused training on campuses. The CR Experience is a certified YWAM DTS. Each week will consist of training sessions, worship and prayer, outreach, and project hours. This Experience is different than attending a normal training program. The CR Experience carries an intentional schedule that flows seamlessly with our established CR community. All of us throw in to serve and are flexible as needs arise. Our expectation is that during this 7 month experience you will set aside any extra-curricular trips and engage wholeheartedly to seek God with the Circuit Rider community here in Huntington Beach for the full experience. *Note: We will have a Christmas break where you will need to travel home for Christmas from December 15th – January 10th due to our lack of housing here in HB during the Holiday season. We have a network of community houses in Huntington Beach. You will be placed into one of these community houses, where we will live together, make crazy memories, and grow in our relationship with Jesus. Rent is included in the tuition cost. You will need to fundraise on top of your registration, lecture, housing, and tour fees to personally pay for flights and food. Q. How can I raise support? Circuit Riders is a community of self-funded missionaries. If you are accepted to join us this fall we will help walk you through the fundraising process as you prepare to join the CR community! Food is not provided, expect to raise an extra amount on top of the total cost to pay for your food during CR Experience.